“I wish there was one comprehensive list that provides all the patent marketplaces where one could buy and sell patents” — uttered Sara, an inventor friend of mine, during our conversation the other day, visibly frustrated after her futile attempts to find the perfect marketplace where she could sell her patents. Sara is not alone. There are hundreds of patent owners, who face a similar dilemma, every time they are looking forward to selling their patents. They are not sure whether listing on the marketplace, they initially came across is the right decision or not. Moreover, it is frustrating to read through the website of every marketplace, analyze the pros and cons, and finalize one where they could list their patents, in hopes that it would sell soon in near future. Monetizing the patent portfolio is not the only trouble in the IP world. Whether it’s about expanding patent portfolio in a domain or acquiring patents for defensive purposes to operate freely, it is common knowledge that patents listed on marketplaces can be acquired for a cheaper price as compared to reaching out to patent owners individually, who would inflate prices, if they figure the buyer is a large entity. Yes, marketplaces are as much a boon to the buyers as they are to sellers. Honoring Sara’s wish, we have curated a comprehensive list of all the well-known patent marketplaces, where one could buy and sell patents. This one is dedicated to Sara, and all those others, who at some point in time, wished for this list. Editor’s Note: Before selling your patent, how do you figure the real value of your patent? Are you sure you’re not handing over the priceless gems of your patent portfolio for pennies? Confused? Read this – Are You Throwing Away Your Million Dollar Patents? Here is the table of content, so if you are interested in a particular marketplace, you can land on it directly. Founded in 2004, under the name freepatentauction.com, the renamed site patentauction.com is one of the few legit marketplaces that are entirely free and have no hidden costs. Listing a patent for sale is one registration away. Easy Peasy? Check. The site is pretty popular with inventors and is frequently updated with new inventions/ patents. The only drawback is that the categories in which patents could be listed are very limited, due to which most patents — that do not belong to listed categories — end up being a part of the “other” heap. Not very convenient for searchers. But once you (the user/buyer) have found your ideal patent and want to go forward with the negotiation talks, or resolve inquiries, things get easy. The seller can be contacted directly on the messaging board available on the marketplace (Registration required, of course). No outlook involved. Would I recommend it to Sara? There is a good probability, I would. But then, there are other good options too. Launched in 2007, IP Marketplace is managed by the Danish Patent and Trademark Office. A recent, modernized version of the website was relaunched in 2017. The site serves as a marketplace that allows listing of patents, patent applications, designs, utility models, and trademarks. The Marketplace offers extensive filtering on the site, which means users can find patents/ any other type of IP, from a particular technology category, valid in a particular country and available under terms of a particular co-operation agreement [sale (lump sum/royalty-based)/ licensing(exclusive/non-exclusive/cross-licensing)]. The only issue with the IP marketplace is that the categories are either poorly chosen or inaptly named. For instance, instead of listing all the major technology clusters as categories and allowing users to choose from them, the categories are highly limited to Biotech, Food Tech, Energy, IT, Pharma, Machines, Art & Crafts and others, one of them being leisure activity goods. Makes me think how many patents actually exist in the category that leisure activity goods get a mention and environment patents (or space tech patents) are left out. Another turnoff — categories like “foodstuffs”. With all due respect, it doesn’t take a genius to rename that category. Call it Comestibles or rename the category to Food Science. Just not foodstuffs. My IQ drops 10 points every time I type that word. There is one thing that I ought to mention though – IP marketplace hosts a tool for evaluating your IP (Patents/ Trademarks/Design). For free. This tool is handy for someone like Sara and various others who would benefit from figuring the value of their IP. Like other marketplaces, Inpama.com is a global marketplace that allows both buyers and sellers to avail the service for free, post registration. Inpama offers inventors a guide, aka few tips, which could help sell their patented inventions faster. The site is free and yet not a top choice as it is visually unappealing. Further, there are not a huge lot of patents listed for sale in comparison to the sites mentioned earlier. Not on my list of top 10 recommendations for sellers. Having said that, Dear Buyers, if you find a listing that interests you, you can contact the patent owner post filling a detailed form along with the price you are willing to offer. Negotiations take place either on the portal or offline, and there is no commission fee or hidden costs for either party. PCTXS Inc, a Canadian company, manages the PCTXS marketplace, which allows both buyers and sellers the option to license/sell/ask prices, for unexpired International Patent Application rights in countries around the world. PCTXS membership is free. Buyers and sellers can perform extensive searches or post listings after registration. PCTXS also offers this additional functionality where owners could simply type in the PCT number and the company harvests the rest of the relevant data of PCT application automatically from the WIPO site, including written opinion and search report. Committed to being free for universities, Not-for-profit research organizations, and other educational institutions for a lifetime, PCTXS does not guarantee to offer its service for free in the future for other entities. Make the most of it, while it’s free! As far as Sara is concerned, she does not have a PCT application, so not the best choice for her. For others who own one or several PCTs, we totally recommend this one. Found in 2007, IdeaBuyer.com ranked 165th on Inc 5000 Fastest growing companies list, 2017 version. The popular marketplace allows patent owners to list their patents/other protected inventions for free post registration. Same rules for buyers too. Register before you contact. Negotiation offline. No commission involved. Same tale reiterated. The marketplace has garnered mixed reviews over the years, mostly positive ones though. One of them being the following, we found on its site. Pretty positive. Sara, seriously check this site out! Patent Mall is a free online marketplace that lists technology, aka patents, of research institutions and universities of Malaysia. Each uploaded technology (patent) has its own technology profile page that displays the price, status and selling method of the patent in question, in addition to details of the inventor. Below attached is a screenshot of one of the technology profile pages available for sale. All the details you need on one page. Not a bad option if you’re seeking to acquire patents to serve as a shield in Malaysia. Diana, for instance, whose startup is looking forward to expanding its operations in Malaysia can largely benefit from checking if any patents available on this marketplace can be bought, which could be used later for defensive purposes. Diana, just so you know, you can only contact the inventors’ post registration. Fill the form, lady! Loaded with advertisements and with a confusing layout, Patents.com might not be the first choice for Sara or other inventors. Yet it deserves a mention, having been around for years altogether. Patents.com appears more like the combination of a patent search engine, an extensive FAQ on patents and patenting, and a marketplace for patents thrown into the combination. Though it is not mentioned anywhere, the site seems free to register, upload IP and browse. Whether there are any hidden costs or commission fees included, it isn’t clear in the fine print. 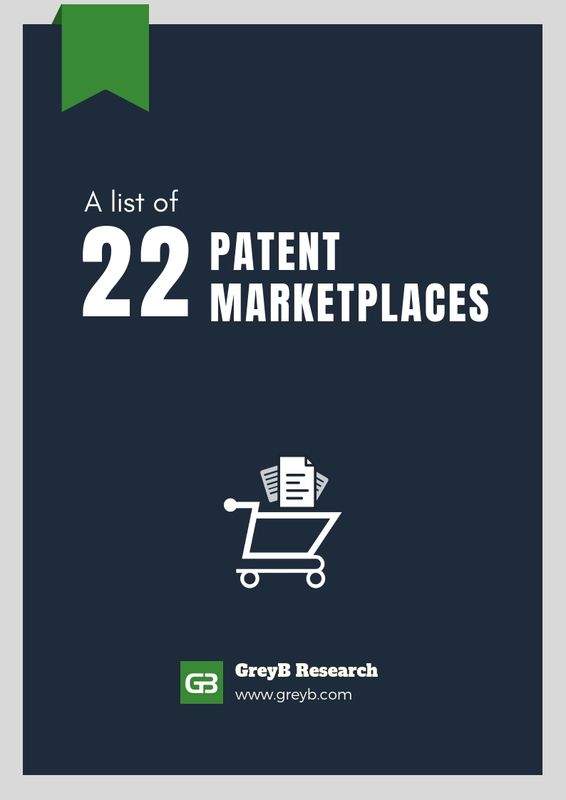 The worst part — There are only 25 patents in the marketplace listed on the site as of March 19, 2019. Though the site has a very short listing with exorbitant prices, they have a pretty good search engine if you are looking for a free one. Launched in 2015, IAM Market is a unique marketplace that falls under both free and paid categories. Free for buyers, a fee involved for sellers. Here’s why — Instead of listing patents for sale of entities of every size, IAM Market lists patent portfolios for sale by 22 vendors solely. These 22 vendors include some of the biggest portfolio holders, namely — AT&T, IBM, HP, Microsoft, Google, Intel, Boeing, Sony, Philips, and Xerox. According to a source, these are the very vendors (15 of them) IAM reached out to prior it launched its operations. In return, they received a flat fee deal to list as many patents as they’d like for a year. “Two years. Only Seven new vendors. They might have strict conditions on who can list their patents” – One might speculate. But don’t let that deter you from becoming one since IAM Market offers the option on its website for practically anyone to enroll as a vendor. The conditions and fee structure of which can be found out by contacting the team at IAM. Contact info here! Buyers are in for a treat at IAM Market, as registration is free, and the sellers are genuine vendors interested in selling their patents. Given that there are only 22 vendors, the technology categories are limited, yet some of the best quality patents for the particular technology could be found for sale here. BTW, there are no commissions or hidden costs involved, as IAM does not broker any deals or serve as intermediaries. If they did, you and I, we’d have access to some of the most sophisticated, detailed reports on patent transactions market. Our bad! All good things come at a cost. Talking of which, here are some more marketplaces that would cost you – the buyer/seller – some of your hard-earned money. – Hidero Niioka, Founder and CEO, IP Nexus. Launched in April of 2012, IP Nexus’s mission was to make IP related information and services easily accessible and affordable for startups. Its Q&A forum serves the very purpose, being a popular venue where expert professionals answer users questions related to IP matters. In addition to the forum, IP Nexus also hosts a directory for lawyers, a job posting board, and an IP marketplace – featuring for sale patents and other modes of IP protected inventions. Named IP Exchange, this IP marketplace is quite popular as it lists 67,000+ patents at the time of writing this article, with a third of patents on sale that have been issued or are pending grant from Japan patent office. Patent owners are allowed to list their patents post registration, both being free. After a successful sale/license transaction though, a matching fee is charged, which is 12% for profit companies, and 4% for non-profits. Anyone post registration can browse unlimited IP and submit interest in buying any particular IP for free, but it might be the least preferable option. The 0$ or free option locks most of the functionality of the website, restricting users from reading the entire description and hiding the patent/application number. To make the best out of this platform, one ought to pay a price, somewhere in the range of hundred to two hundred dollars. The chart below lists all the membership models available on the platform along with the listing of features that comes with it. Not all good things come for free, eh! Got some cash to spare? While we’re talking about getting a great value out of your money, the Copenhagen-based company deserves a mention. The marketplace provides most of its services for free, including listing your patent, access to sophisticated reporting and search tools and setting up search agents to monitor any IP of your interest, post registration. 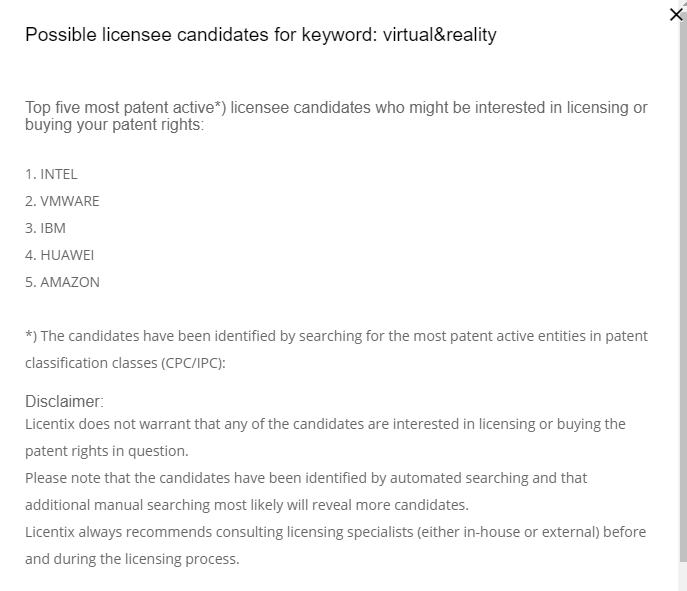 Additionally, they also offer a tool that automatically generates a list of potential licensees who are interested in the technology domain of your patent. For free. Yes, Licentix provides all the features of a free marketplace, which might make you question my choice for listing it under the paid marketplace category. However, the company has built a successful business model by introducing DirectInvite feature. This feature offers you the opportunity to get your patents in front of the right buyers. Using the feature, You –the seller – could provide Licentix with the list of specific companies you would like to reach out for sale/licensing of your patent, and Licentix would ensure that you receive feedback – if not the offer – from buyers. Each DirectInvite credit(to contact IP managers of your choice) could cost you USD 89. The good news is, with each listing you are awarded 3 Credits, for free. As for buyers, post-registration, all the services are free, be it browsing patents, advanced search options, setting search alerts, access to statistics. Additionally, you can also get access to custom opportunity reports listing the newest IP related to a specific industry or based on your keywords. 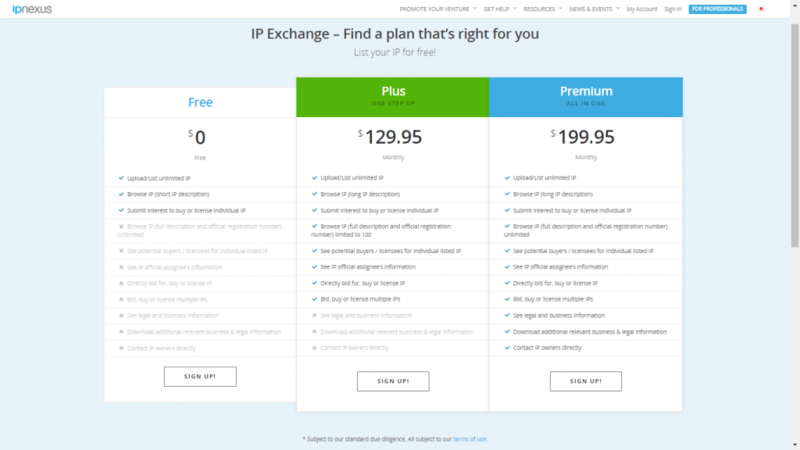 The subscription would cost you USD 99 monthly or USD 999 for a full year subscription. Sara, you ought to list your patent here and get the heck out of this credit system! How does it feel to be the first to start a trend? Ask Becker and Malackowski of Ocean Tomo, who created the first live public auction of patents, trademarks, and copyright. The first multi-lot patent auction was held in 2006 and it was so popular, patent auctions have become quite the norm. Ocean Tomo holds a lot of auctions, and every time lots are up for sale, Ocean Tomo advertises in print media, notifying everyone about the same. But this is so offline. Worry not, they have an online auction system in place too. Referred to as Ocean Tomo Bid-Ask™ Market, the marketplace is available in both English and Mandarin. Owners who wish to sell patents, have to sign an Ocean Tomo seller agreement whose terms of sale include the inclusion of future related assets. Post verification, the assets are provided with a transaction serial number and a virtual data room, in which the seller may disclose further details along with the targeted purchase price. Now, though these listings are available for everyone to view, a buyer can bid on a patent only post verification. A buyer is supposed to meet predetermined standards set by Ocean Tomo in order to bid, and after meeting them, a credit verification is done, post which the buyer must sign a Bidder Agreement. Too much work before you bid. But that ensures only genuinely interested parties can become a part of the deal. Bidding is free, and after a completed transaction, Bid-Ask charges a 10% and 15% commission split between buyer and seller respectively. Everyone wins. A USPTO Initiative, the Electronic Gazette lists patents available for sale or license, along with contact information of the inventor/assignee. Though the official gazette is published every Tuesday, the version containing the aforementioned list is published on a monthly basis, that is on the second Tuesday of every month. The service fee is $25 for every single item, and patent owners can list their patents post sending a cheque or a money order payable to the Commissioner for patents. No registration required. That’s so obvious, isn’t it? Idea Connection, in its first look, comes across as any other traditional free patent marketplaces. It is free indeed for buyers, as anyone can easily browse all the listed patents and contact the seller, post registration (free). It is the sellers who ought to pay a price, $49.95 precisely. Marketed as “Crowdsell your patent”, it allows listing a patent on the marketplace for two years, with a link to the website, and a notification to their subscribers (of your patent, of course), who gross somewhere around 41,000. Their model also allows one to become a broker, where a party can reach out to a seller, and negotiate a commission prior linking them directly to the buyer. The platform, however, does not charge any commission from any negotiation or closed transaction. The site is both buyers and seller friendly with a huge technology listing, and other than generating some revenue from seller side, it is quite a decent consideration. PS: My colleague asked me what I meant by huge technology listing while reviewing this piece. Good question, Vincy. While reviewing marketplaces for this piece, this was one of the few marketplaces that I came across which offered a listing of patents in broad, extensive categories. Believe it or not, it lists patents in 103 broad categories. These categories include well-known ones like IT, Electronics, Energy, Communication, Transportation to less famous categories like Wind, Space Tech, Veterinary Science, Waste Management, and Publishing. For an inventor like Nia who has done prolific work in the world of solar energy, her patents would finally find a marketplace where they are not classified under the other category. Nia, this one’s for you girl! How often it happens that you start something to sell the technology that you developed as an inventor and end up helping thousands of inventors sell their patents too? Yet2.com is one such story. It was launched in 1999 by Ben DuPont and Chris De Bleser when DuPont was attempting to sell a new technology that he had developed, and De Bleser was in a similar situation at Polaroid. The duo started the company originally as an online marketplace. As time passed, Yet2 changed strategies to provide consulting services and took on more offline projects. Almost two decades in operation, Yet2 has worked with Fortune 500 and Global 2000 companies. Some of their clientele include Du Pont, Sony, Philips, Kimberly-Clark, Samsung, DSM, Avery Dennison, Bayer, Boeing, AGC, and Panasonic. For patent owners, Yet2 has different membership models to choose from, before being able to list a patent. 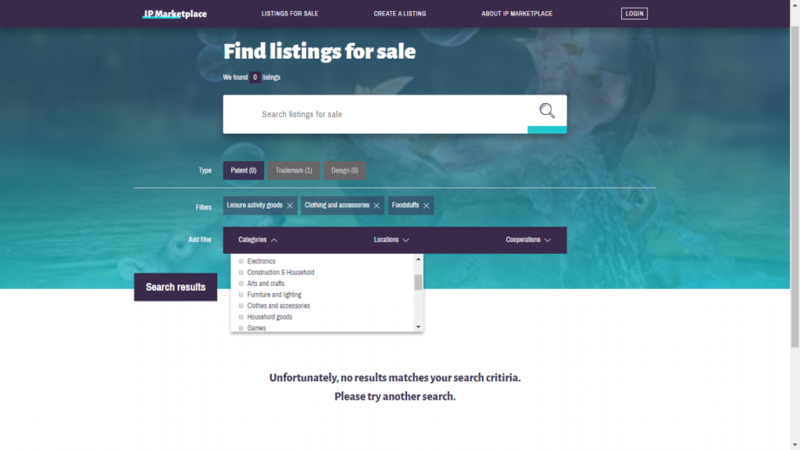 For searchers or buyers, it does not cost anything to register on the site, view listings, ask questions related to the listing or introduction before negotiation. However, Yet2 charges a commission post any successful transaction/negotiation deal on the site. Sara, add this one to the list as well! Launched as a patent and technology brokerage firm in 2003, Tynax’s original marketplace was designed to match buyer’s patent requirements with sellers’ offerings. Pretty much, like every decent marketplace. At a later point in time, Tynax shifted things around and renamed its marketplace as Tynax Patent library. Accurately named, the marketplace has more of a library like feel to it. The technologies are categorized, each category listing subclasses, which further lists the patents available for sale in that particular niche. 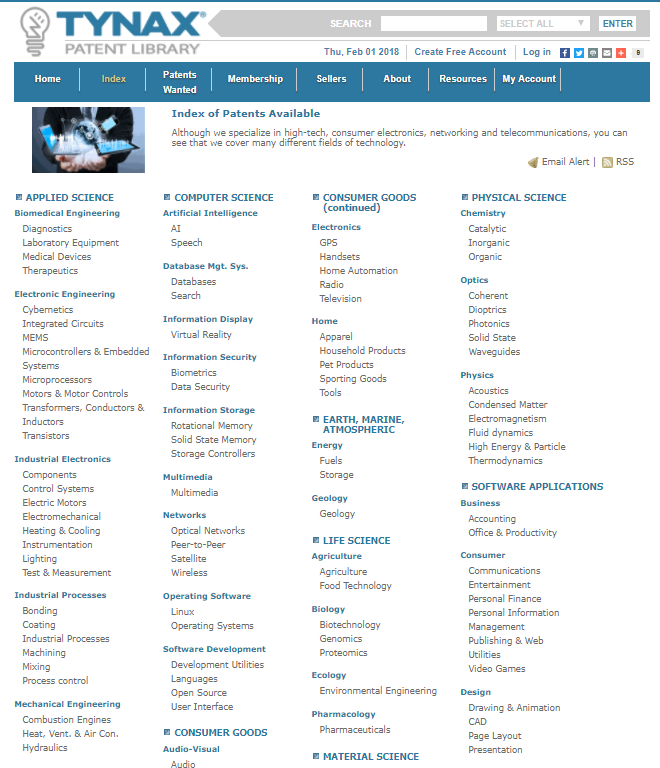 It covers hundreds of technologies under which patents could be listed, just like a real library. BTW, Sellers can create an account for free and list their patents, post registration. Post successful sale or license transaction, Tynax collects a fee, which is calculated by taking into account, a certain percentage of the transaction cost. Serving the purpose with which it originally started, Tynax also offers the option to act as a broker for the seller, at an additional cost and a page long contract. Buyers can check out the patents available on the marketplace for free, and Tynax charges a brokering cost, post successful acquisition/licensing of a patent. For buyers, Tynax can also act as an IP strategist and help buyers accrue a defensive/offensive patent portfolio. The buyers have to enter a simple membership agreement first, with confidentiality provisions, and provide Tynax with a list of competitors they seek protection from. Tynax then does its work. According to their website, the annual cost of membership of patent library is roughly the same as the cost of prosecuting a single US patent. Got thousands to spare? As they say, good things come at a cost. A successor of Ocean Tomo Transactions, ICAP Patent Brokerage has been around since 2006 and has held numerous auctions across the US and Europe. To begin, sellers can submit their patents on the ICAP’s website for consideration. Post submission, each IP in question is analyzed in detail. If accepted, executive summaries and claim charts are prepared. These comprise the catalog, which is featured in the sealed bid. These bids are then either auctioned or privately sold. Just like its predecessor, ICAP post holding an auction, publishes about the same in digital media, in form of promotions or advertisements. Buyers have the option to privately buy patents or publicly bid for it during an auction. Once the auction is complete, buyers have to pay a 10% premium along with the bid amount. Sellers? They pay a commission based on terms of the contract. Primarily a patent brokerage firm, IP Offerings follows an in-depth analysis and marketing process post submission of a patent by a seller. The focus is mainly to sell the patents to potential buyers in a swift manner. Having said that, IP Offerings also has a marketplace that lists patents, which aren’t protected under anonymity or confidentiality clauses. There are no front costs involved, as IP Offerings work on a contingency basis. Post a successful sale, IP Offerings are paid by the sellers, a pre-decided percentage share in the revenue generated. IP offerings act as a broker for buyer side as well, getting hold of IP based on buyer’s requirement. For the service, they charge a monthly retainer plus a success fee post successful acquisition of desired patent or technology. They have brokered hundreds of deals till date, one of them received a bit of media attention too. Which one? Guess from the list. Providing patent brokering and patent licensing services to patent owners for years altogether, IPIG is an expert in patent monetization. Each of the aforementioned services is provided to sellers on a contingency basis, with no upfront costs. It is also a client-friendly company, giving patent owners complete control over the process. IPIG have a solid track record of deals, making them a good choice as a brokerage partner. Sara, take a leap of faith girl! If you have a high-quality patent, Transactions IP can successfully sell it. That’s the gist I came to after reading through its seller side brokerage page. Pretty much everyone can do that, eh? Sellers can submit their patents for consideration to Transactions IP and post analysis, their team would get in touch with you to discuss the next steps. Which means — if your patent is valuable, it is going to be a breeze. If it isn’t, then you, the seller, will have to pay an upfront fee in addition to operating the case on a contingency basis which is the norm. Transaction IP also does buyer side patent brokerage. It follows an in-depth process post understanding the needs of the buyer and carries out its execution. They charge buyers a combination fee which is calculated by including hourly fees and a success fee percentage. The positive — You, as a buyer, get to decide the budget before going ahead with the process. Sell your patents to big ole’ Google, so that they can use it to make the world better. Jokes apart, the tech giant is in fact interested in buying your patents. It first started its patent purchase program in May of 2015 for a three-week window. It received thousands of submissions, of which it bought 28% of the total offered to it. 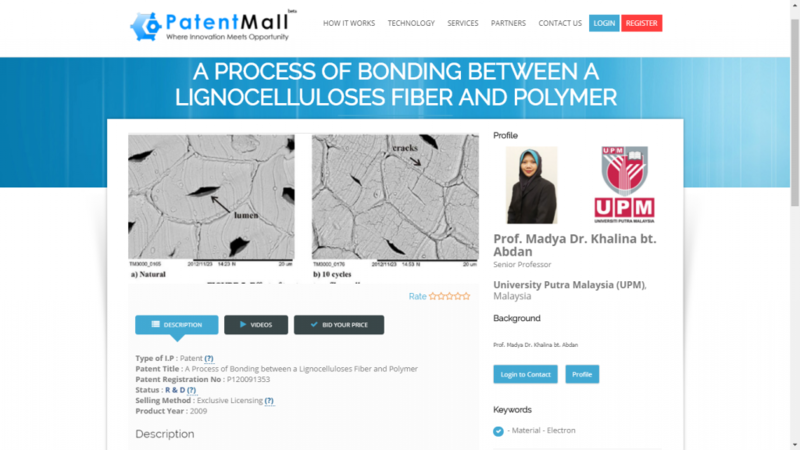 The program was deemed a success and Google has kept its patent purchase portal open for submissions. Sellers can send in their patent for consideration by filling in a detailed form, post which Google would get in touch to discuss the outcome/next steps. Don’t get too excited though. If numbers from an IEEE paper are to be believed (which you should believe), the highest Google paid for a patent is $250,000, the lowest being a mere $3000. If you had plans of selling your patent to Google and retire early, you are living in an illusion. That’s not happening. Sara, sell your patent to Google. AST started as an experiment, in 2007, to protect its members from wasteful litigation. Over the decade, AST has received and processed more than 6,500 lots comprising over 138,000 patent assets. It has acquired around 2500 assets, worth $420 Million. All this with inputs from members. Our interactions with AST are always positive and professional. They are serious when they buy. Once they make an offer I have great confidence that they will be able to close the deal. It’s a real benefit to be able to bid alongside your peers, and a tremendous advantage to have regular peer-to-peer interaction throughout the year. AST follows a cost-sharing model, pooling funds from several interested parties to acquire patent rights. Any IP which is submitted for sale is evaluated by all the members, and only if parties are interested, AST goes forward with IP acquisition. This is a gain for both sides as sellers can get a good price for their patents, while buyers will be set back by an amount which is way less when compared to costs accrued when acquiring rights directly. BTW, if you are a seller, these are the technologies, AST is interested to buy — Find ’em here. The defensive aggregation company, which shares a business model similar to AST was found a year after the former with the intent to reduce the risk of NPE patent assertion and litigation. With 320+ members, RPX boasts of having acquired 40,000+ Patent assets till date and saving its members 3.8 Billion USD in wasteful litigation and settlement costs. Though the company offers the option to either buy insurance or become a member to avoid wasteful litigation, RPX additionally also offers patents for sale. The company lists patent portfolios for sale on its website, highlighting the exemplary patents in the portfolio. Once you have decided which portfolio you would like to buy, you could fill the buyer information form and a representative from the organization would reach out to you. However, it is not clear whether or not RPX charges any commission or fee on the transaction for the buyer side. You could find out more by contacting the RPX team. For IP holders, RPX guarantees to provide a fair market price and fast cash payment – within 90 days of receiving the offer to sell. IP holders could provide information about the IP in hand, along with valuation expectations and technology details in the seller information form, and within two business days, you could expect communication from an RPX representative. On a constant lookout for new ideas and valuable patents, Marathon Patent Group is a patent aggregator, whose services include patent commercialization and licensing. With more than a dozen subsidiaries, the parent company has a unique business model — They buy the patents that have already been in litigation aka very high-quality patents and figure others who have been infringing on the patent too. They either ask these potential infringers to get a license or rage a lawsuit against them and so goes the vicious cycle of patent monetization. Making the most out of patents that have already been made most out of – The coolest business model I ever came across. Dear patent owners, if you are tired of raging lawsuits, sell your patent to MPG. They don’t get tired of this game. You can send your patent for consideration here. I think Sara wouldn’t mind selling her patents to MPG. Sara, how many infringers are there for your patent? Phew! It was a long list. Long and useful? You are the one to judge. We really hope this list answers all your questions and gets you a step closer towards fulfilling your goal. If you have any suggestions or comments, do let us know in the comments section. We’d love to hear from you. Wishing you success in your endeavors. Authored by: Anjali Chopra, Senior Business Analyst, Market Research in collaboration with Vincy Khandpur, Team Lead, Patent Infringement Team. My goal is to build patent marketplace and services. Do you offer fulfilment in such e commerce? I read your full article. This article is very informative and helpful. Thanks for sharing your post.